Copper prices are expected to trade lower in short term, as per the latest survey conducted by the Shanghai Metals Market among Chinese copper plate/sheet, strip and foil producers. According to the survey, 36% of Chinese producer expect copper prices to fall in the short term. “Both LME and SHFE reported growth in copper inventories recently, while consumption is still sluggish in the offseason for downstream sectors, so copper prices will face downside risk,” these producers told SMM. Another 32% of produces believe copper prices will move sideways, noting that the strong dollar will place pressure on base metals, but on the bright side, China’s stock market seemed to stabilize lately, which may help restore confidence. 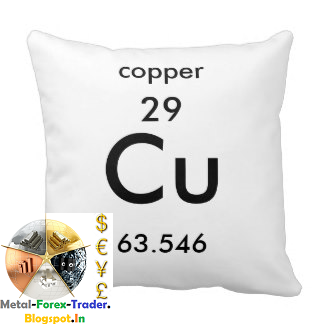 Technical indicators point to both support and resistance for copper prices, these producers added. Only 5% of the surveyed see copper prices to rise considering positive reports from macro front. “The Greek government secured another bailout recently and China’s stock market leveled out, these factors will shore up market and benefit risky assets, including the red metal,” a few producers said. The remaining 27% are not sure about the price trends.